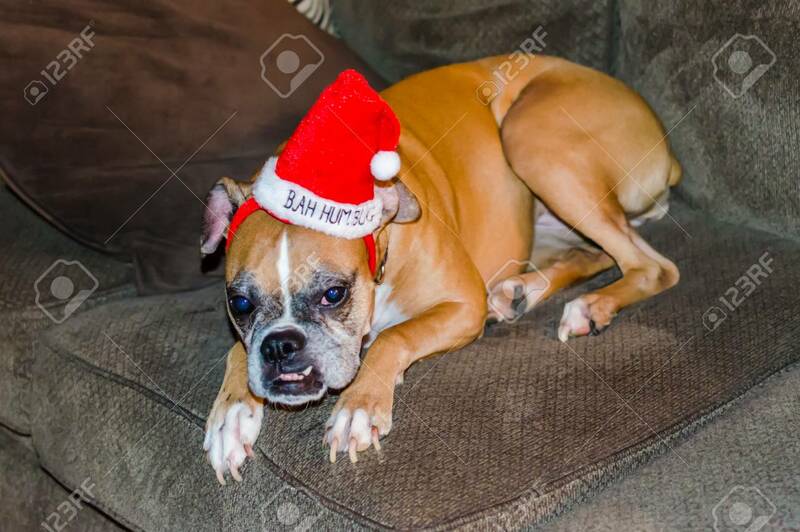 Funny Christmas Dog Wearing Red Bah Humbug Hat. Cute Humorous Festive Pet Image To Celebrate Christmas Holiday Season. Lizenzfreie Fotos, Bilder Und Stock Fotografie. Image 114070585. Standard-Bild - Funny Christmas Dog wearing red Bah Humbug hat. Cute humorous festive pet image to celebrate Christmas Holiday season. Funny Christmas Dog wearing red Bah Humbug hat. Cute humorous festive pet image to celebrate Christmas Holiday season.